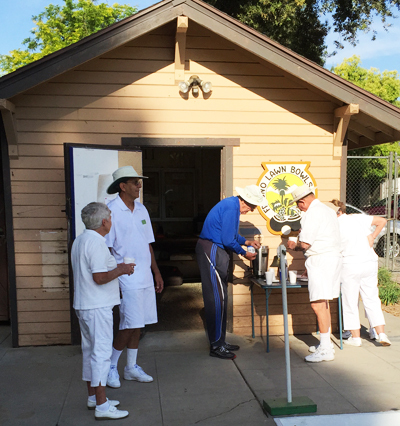 In a surprisingly warm weekend where temperatures soared into the 90’s, our own Fresno bowling team turned the table on Cambria, at least compared to last year. We ended up dominating 6 games to 2 and half our wins were not even close. If you look closely at the bowler on the trophy (which originated this series in 1975) he is wearing a sweater and tie and long pants. 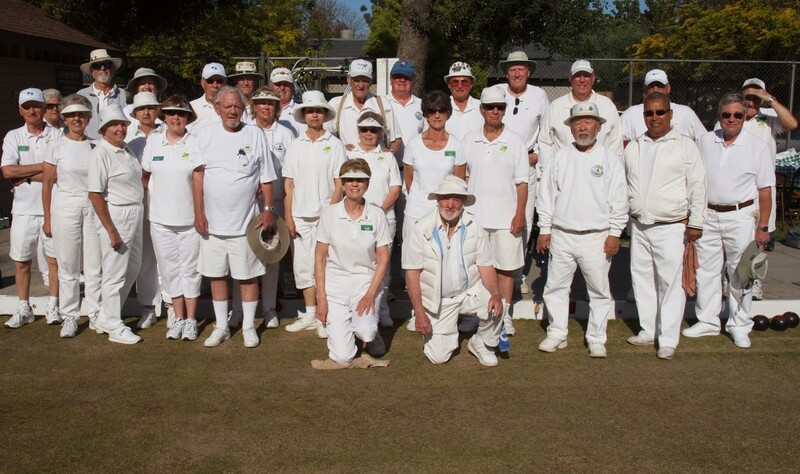 We may still prefer to wear whites… but our knees do show! 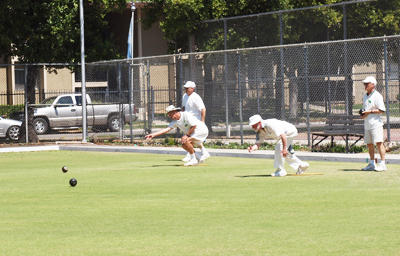 Style points don't count in lawn bowling.. but these penultimate rolls both look good. 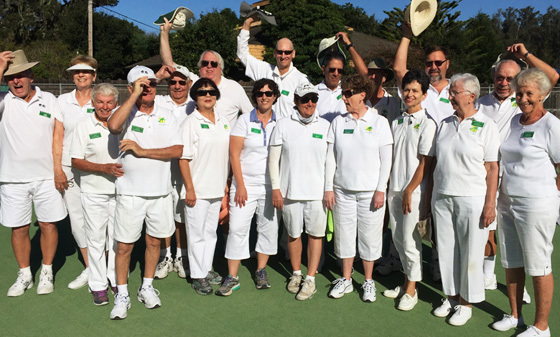 To overuse a common expression, a good time was had by all – and it was all helped along with great food dishes provided by all our good members. 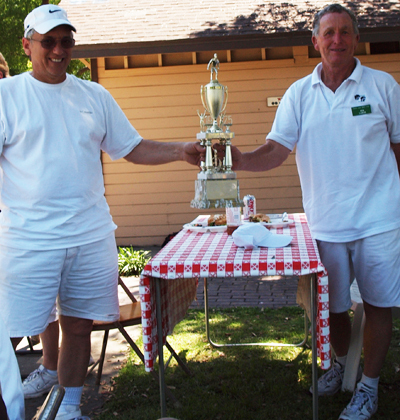 In their first tournament ever, Dennis and his wife Linda played very well. In fact, Dennis was an outstanding lead in both of his games – I think we have found a new competitive spirit to do us proud.